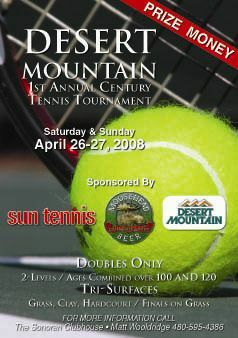 The Tournament will have two age groups, the first draw is the combined age of both players equaling 100 years or more. The second age group will be 120 years or more. Each age group will have two levels. The gold group will be competing for prize money. The silver group will be competing for awards. Each division will have a consolation drawing.